Self-made billionaire Thomas Crown is bored of being able to buy everything he desires. Being irresistible to women, he also does not feel any challenge in that area. 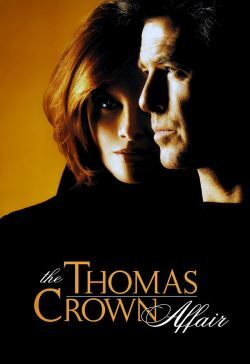 But there are a few things even he can't get, therefore Thomas Crown has a seldom hobby: He steals priceless masterpieces of Art. After the theft of a famous painting from Claude Monet, the only person suspecting Thomas Crown is Catherine Banning. Her job is to get the picture back, no matter how she accomplishes her mission. Unfortunately, Catherine gets involved too deeply with Thomas to keep a professional distance to the case. Fortunately, Thomas seems to fall for her, too.